Summer is here, and so is our worries about oily & shiny skin. 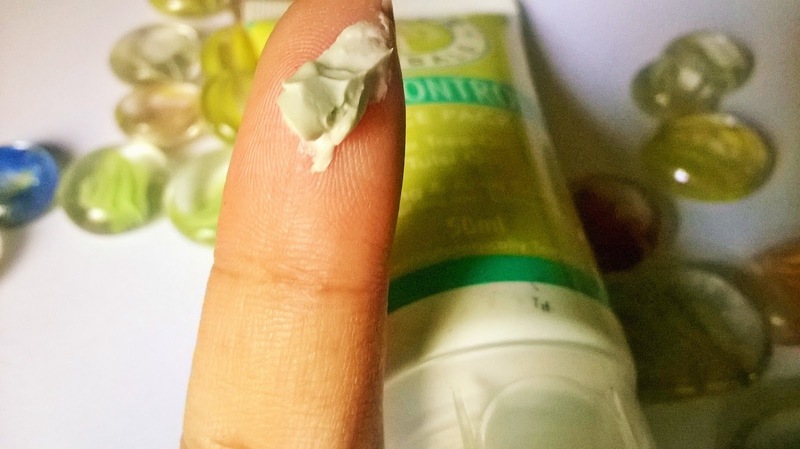 In this season beauty products that are meant to combat these issues, get sold predominantly. 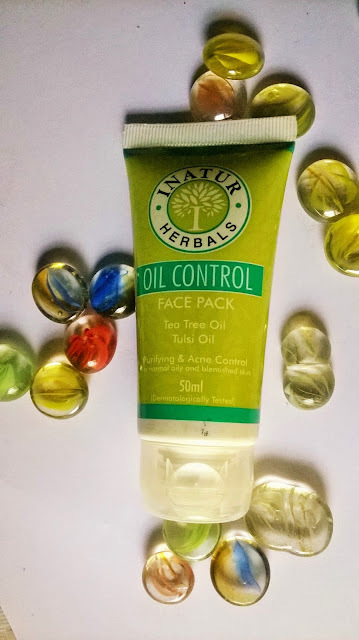 Today, I will review one such product, Inatur Herbals Oil Control Face Pack. A formulation of natural ingredients that help in maintaining acne and blemish-free skin and a glowing complexion by removing impurities. It contains Teatree Oil (that has anti-bacterial properties), Clove Oil (prevents breakouts) and Basil (detoxifies the skin). 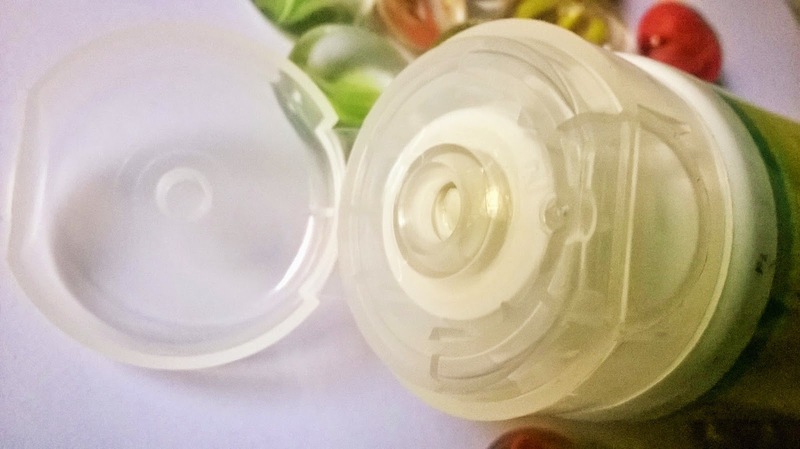 Packaging: The 50 g product comes in a light green tube with a transparent flip open cap, while the 100g product comes in a jar. Product: The pack is light mint green in colour with a very appealing fragrance of Clove, green tea and basil. My Experience: I have combination skin that ends to be oily during summers. So, there is lot of oiliness and shine on my face nowadays. I generally use tea-tree, mint, neem based cleanser for my skin, but have seldom used a pack that contains these ingredients. 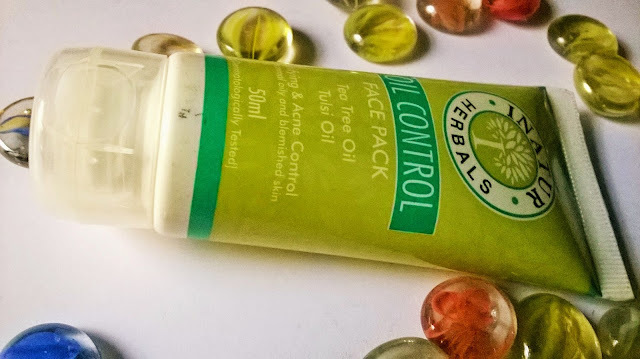 I like the absolutely fresh smell of the blend of oils that the Inatuar Herbals Oil Control Face Pack contains. The clay texture of the pack makes it easy to spread on the entire face. It does not dry on the face but should be left for 10-15 minutes and then washed off.The face becomes very fresh instantly and every bit of shine and oiliness recedes. The difference in skin is visible and can be felt. Inatur Herbals Oil Control Face Pack improves the complexion of oily skin. Open pores, dullness, shine etc are very effectively taken care of. 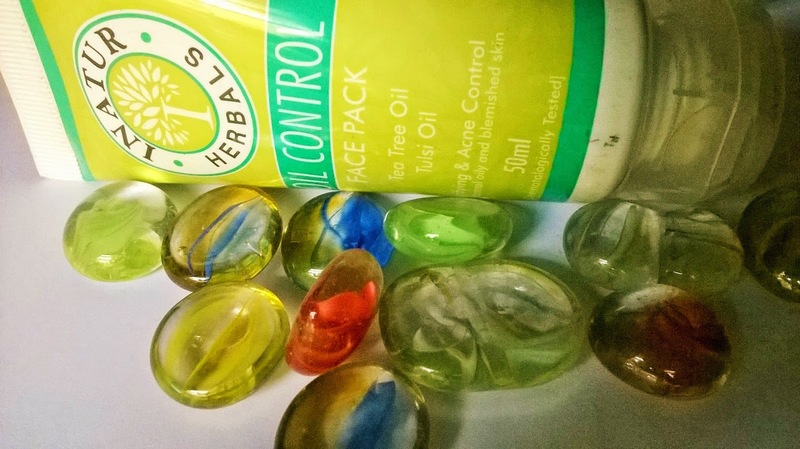 It is said to get rid of prevalent acne and prevent from further breakouts. 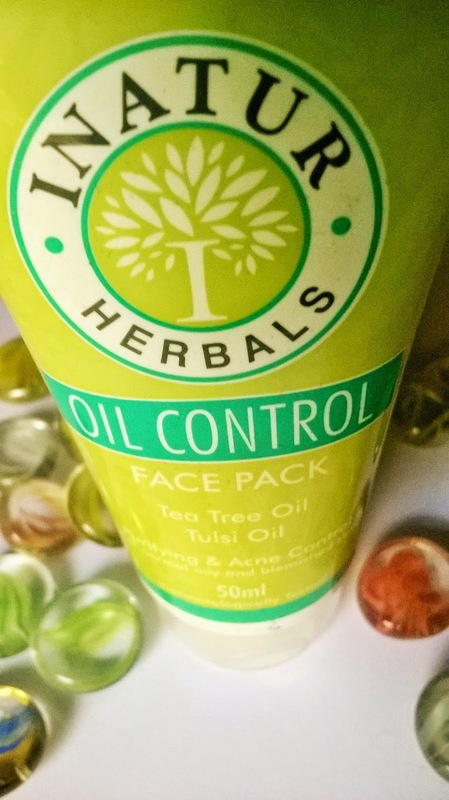 Overall it is a decent face pack and will be good for acne-prone, very oily skin. People with combination skin may find it a bit drying, though. 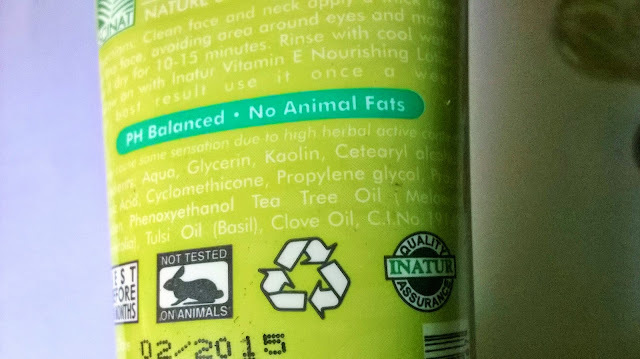 So, I would suggest using an oil-free moisturizer after washing face. 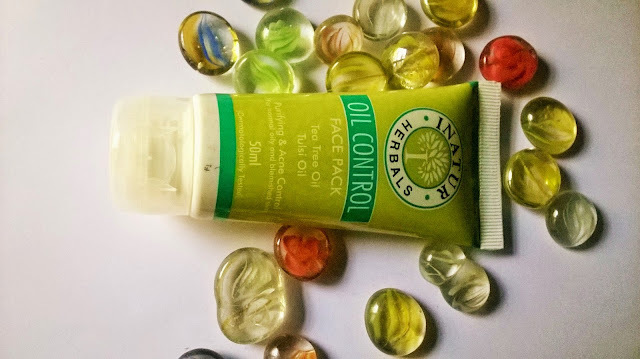 Inatur Herbals Oil Control Face Pack is a good preventive measure for acne breakouts. I suggest this to those with extremely oily and acne prone skin.